This town has become an important centre for providing supporting services to feed the needs of two nearby stylish well-established holiday and residential developments; Quinta do Lago and Vale do Lobo. In keeping with the needs of the area there are a good selection of restaurants offering many different forms of cuisine. 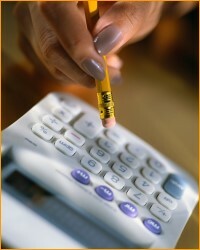 Also, as to be expected there are many real estate offices, interior decorators and furnishing shops. 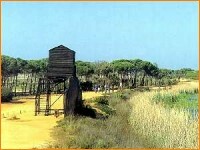 Close by to the east of Almancil is a small village named São Lourenço. 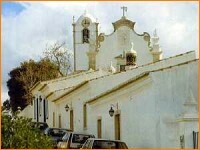 The church here is well worth a visit as it is covered inside with beautiful 18th Century ceramic tiles and is an outstanding example in the Algarve. 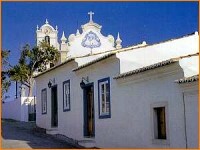 In the street leading up to the church you will find the São Lourenço Cultural Centre which is open to the public. This Centre has been established for many years and mounts regular art exhibitions and classical music events. 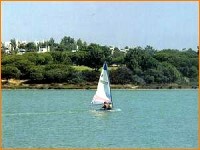 Other places of interest near to Almancil are the Europe's top golf destination of Vilamoura, the administrative town of Faro, and the interior small village of Boliqueime.